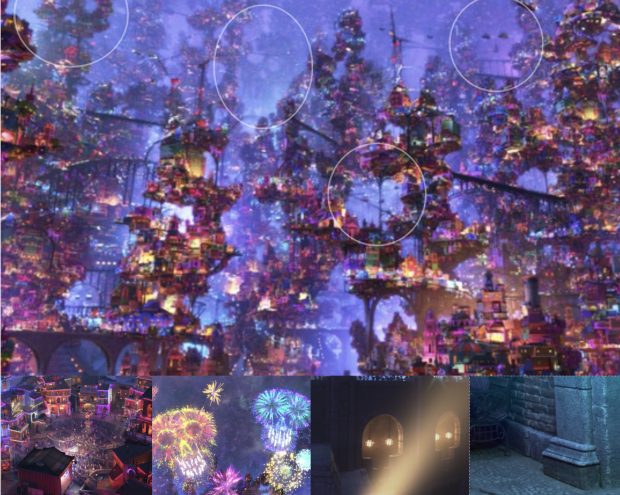 Who doesn't love all the great easter eggs that Disney•Pixar puts into its films!? It's one of my favorite things to do when we bring the movie home. 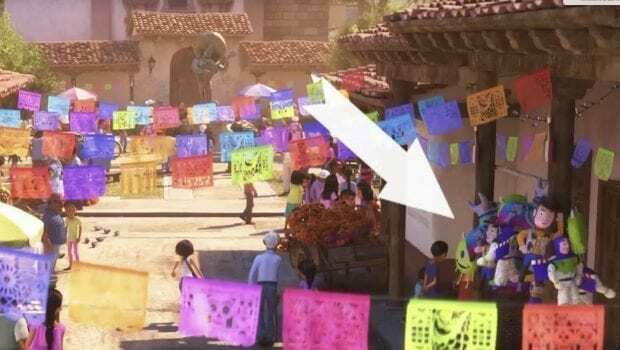 We saw Coco over Thanksgiving and I wanted to start a post with the easter eggs that we found in the film. This is based off what we have found in the trailers, clips, and watching the movie. Coco arrives on Digital Feb. 13th and Blu-ray February 27th! When the film comes out on digital I'll be able to take a closer look and get better screenshots. 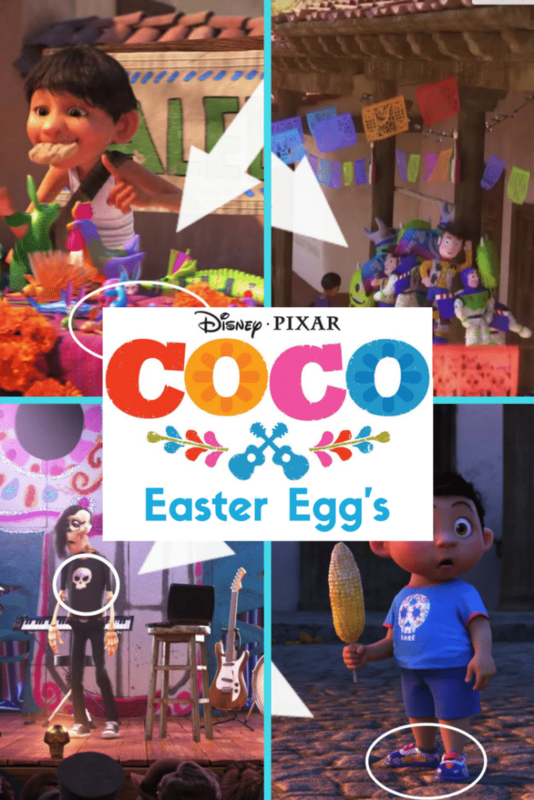 But so far, here are all of Disney Pixar Coco Easter Eggs! Ever wonder how Pixar chooses Easter eggs? Read how here. Love finding Easter Eggs? Check out all of Moana's great Easter Eggs! Did you catch all of the Incredibles 2 Easter Eggs? Straight from the animators at Pixar (seen during my Pixar tour! ), A cool fact about the Land of the Dead is that the towers of buildings are built like the hills homes in Mexico. The older homes are found at the bottom and get newer as you go further up. If you look closely you can see Aztec and Mayan ruins at the bottom of the towers. As you work your way up you pass the colonial times, Revolution, and the modern times at the top. Here is a better look at the pyramid when they are walking at the bottom. All the skulls!!! There are so many skulls in the Land of Dead. They are in street lamps, The voids of the buildings, voids of the pathways, the beaches and a whole lot more. Once you start seeing them, you can't unsee all the skulls. Pizza Planet Truck – The Pizza Planet truck drives past playing music while Miguel is looking out the window. The name on the truck was altered to fit into Mexico so it is Pizza Planeta! Toy Story / Monster's Inc. Piñatas – Hanging in the plaza when Miguel visits the plaza to shine shoes. Nemo, Dory, Destiny, Remi, and Pepita Alebrije – On the table of alebrijes when Miguel is heading to the plaza, you can see Nemo, Dory, Destiny, and Remi. You can also see Pepita on the table near the end. Other characters we see in the movie are Doug from “UP” and The Good Dinosaur. Mamá Imelda’s spirit guide Pepita. Filmmakers were so dazzled by the vibrant alebrijes they saw in their travels throughout Mexico, they wanted to incorporate the folk art into the story. The alebrijes are brought to life in “Coco” as dynamic spirit guides throughout the Land of the Dead. A secret nod to Mamá Imelda’s spirit guide Pepita appears on the Rivera family’s ofrenda: a cat alebrije near Imelda’s photo is painted in the same colors as Pepita. Luxo ball – This iconic ball appears in every Pixar movie including The Good Dinosaur. You can see this one on the table when the Monkey jumps. It is also seen as a luchador mask in the Dantes Lunch short! 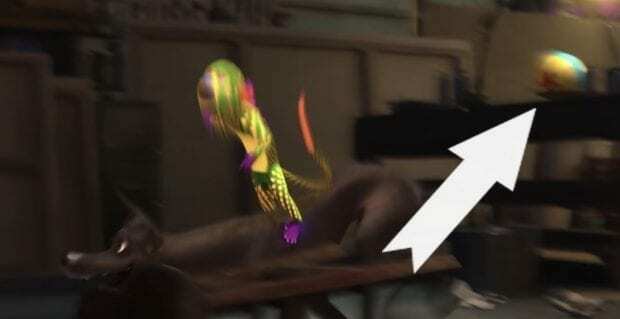 A113 – Another one that appears in every Pixar movie is A113. It's a reference to the classroom at California Institue of Arts that many of the animators attended. You'll see it as an office number. You can also see the A113 on the album cover! The Incredibles movie poster – When Hector and Miguel walk to the talent show you can see it on the wall. 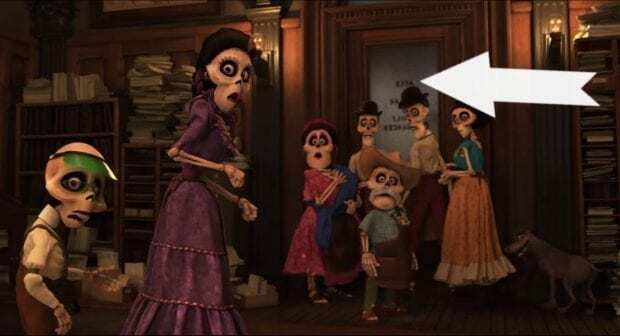 John Ratzenberger voices a character in every Pixar film and in Coco he plays Juan Ortodoncia. He is the skeleton that is visiting his dentist! Notive anything else about that dentist's office? It's the dentist office from Finding Nemo! So many lights. There are 7 million lights in the shot of Miguel seeing the Land of the Dead for the first time! Sid's Shirt. The iconic bad boy from Toy Story gets a nod in the Land of the Dead battle of the bands when his shirt appears on a performer. I doubt this is actually Sid, but you never know. Either way, it was a fun find. Lightning McQueen. 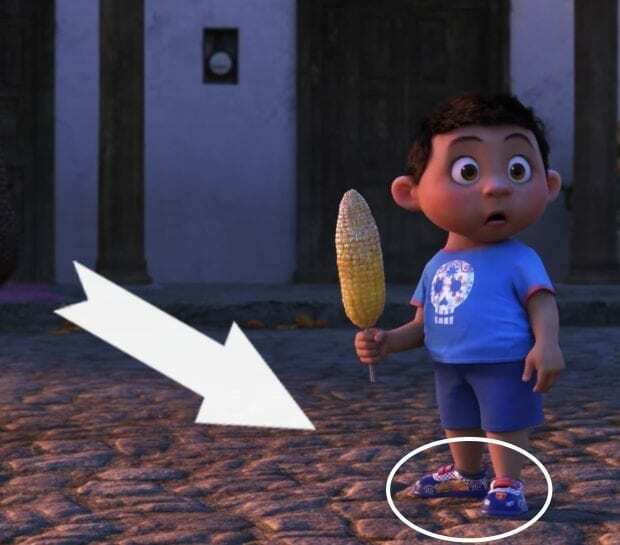 During the Pixar short Dante's Lunch, we see a little boy wearing shoes with the race car on them. Famous Mexican Cameos. Miguel meets legendary artist Frida Kahlo during his journey. Rodolfo Guzmán Huerta, also known as El Santo the famous luchador. Mexican singers and actors Jorge Negrete and Pedro Infante, Cantinflas, Mexican Revolution leader Emiliano Zapata, and Mexican film actress and singer María Félix. 1921 – The year Walt Disney made his first animation. You can see this as the start of the Rivera Family of Shoemakers got its start! Steve Jobs, the co-founder of Apple Inc. who was also a CEO and shareholder of Pixar; Don Rickles, famed insult comic and the voice of Mr. Potato Head in the Toy Story movies; and Joe Ranft, the voice actor behind Heimlich in A Bug's Life and Jacques in Finding Nemo. Love finding Easter Eggs? Check out all of Moana's great Easter Eggs! Coco arrives on Digital Feb 13th and Blu-ray/DVD Feb 27th! Here are the bonus features you'll find! Día de los Muertos – In this musical extravaganza, the colors and excitement of Día de los Muertos come to life as we meet superstar Ernesto de la Cruz. The Way of the Riveras – A musical number in which Abuelita and Miguel prepare their Día de los Muertos celebration while she teaches him Rivera family history and traditions. Celebrity Tour – Héctor, a Land of the Dead tour bus guide, agrees to help Miguel, revealed to be a living boy, on his quest to find de la Cruz. The Bus Escape – The Rivera family catches up to Miguel and Héctor and attempts to halt their mission to find de la Cruz. Alebrije Attack – Miguel and Héctor are interrupted on their journey to find de la Cruz by a fierce alebrije. To the Bridge – As the Land of the Dead counts down to the end of Día de los Muertos, Miguel and de la Cruz come head-to-head on the marigold bridge. How to Make Papel Picado – Join Pixar artist Ana Ramírez González as we learn how papel picado is made traditionally, and then try your own approach to this beautiful art form. 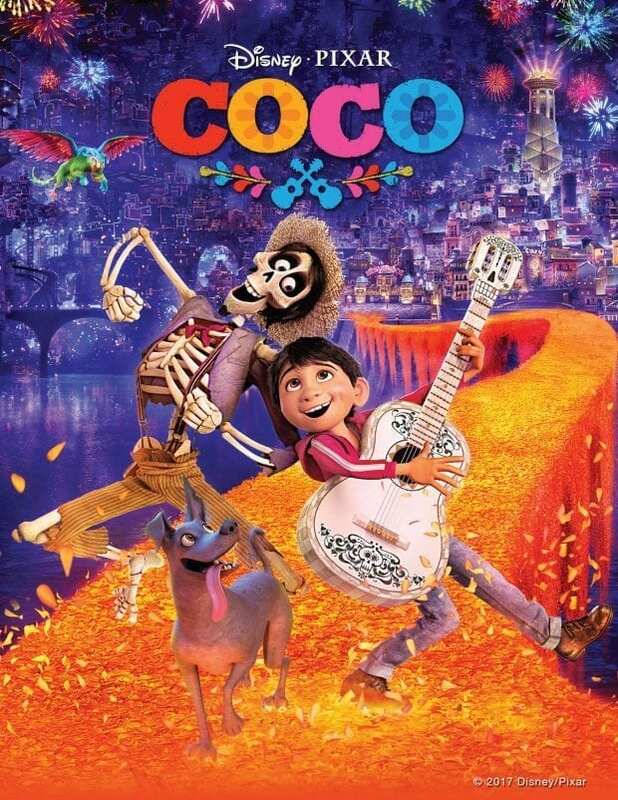 Pre-order Coco from Target! 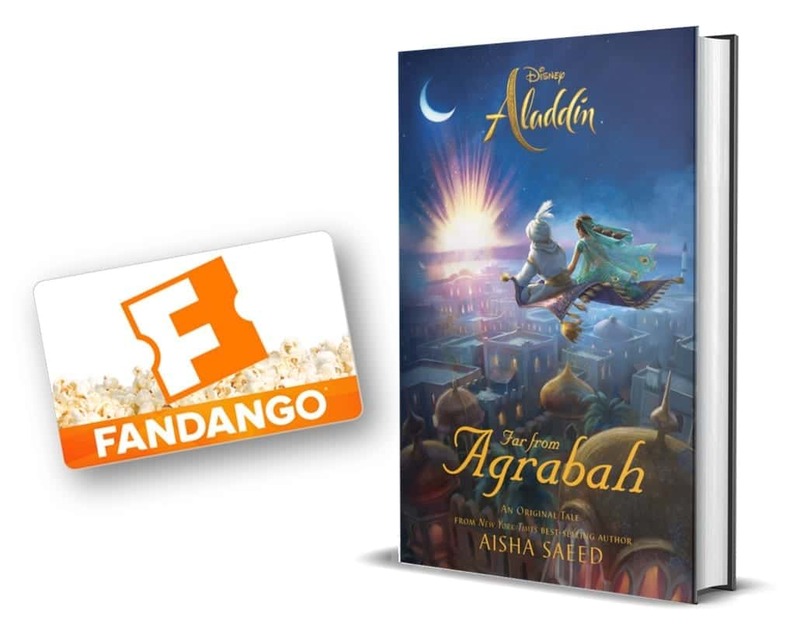 The Target Exclusive has a storybook that comes with the movie! I really love the grandmother. I have not seen the movie, but she reminds me of the typical abuelita, and I think my great great grandmother was like that. She even looks a little like that. But I am really excited to see the movie, because we missed it at the theaters. I am sure I would have many other favorite characters after watching the film. Thank you for the chance, maybe we’ll get lucky enough and invite the whole family to a movie night. You’re in for a treat! It’s so great! My favorite Coco character is Dante! We haven’t seen the film yet, so we don’t have a fav character. I was a little on the fence about seeing it because of the death aspect and skeletons, but I’m convinced Disney found a non-scary way to tell the story. Rhyme it with me: DanTE all the WAY! We haven’t seen it yet! Coco is my favorite character! 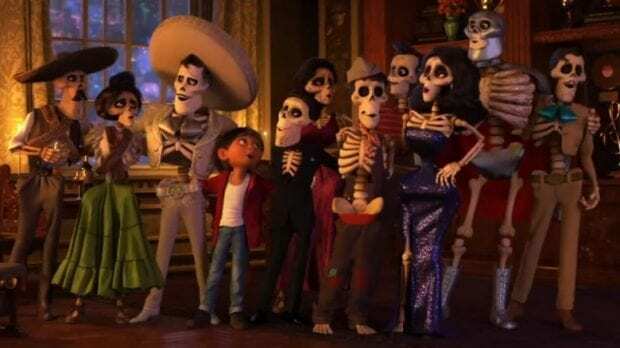 My favorite character from Coco is Dante. I’m a sucker for dogs and he is so cute. My favorite Coco character is Dante the dog. Thanks for the giveaway. I hope that I win.